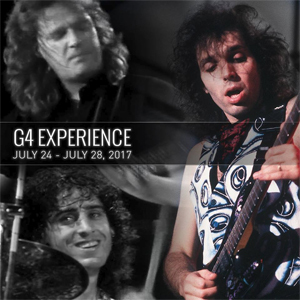 For its fourth installment, the G4 Experience enjoys a game-changing and historic first. The camp will celebrate the writing, recording, and performance of SATRIANI’s seminal GRAMMY Award-nominated, platinum-selling 1987 epic, Surfing With The Alien—one of the most successful instrumental guitar albums ever made. Recognizing the record’s 30th anniversary, campers will enjoy the once-in-a-lifetime opportunity to pull back the curtain on the album with the visionaries behind the music.